As I continue to put together a possible workshop title for the Trans Ohio Symposium this Spring, I dredge up old memories and wonder why I went down certain paths. 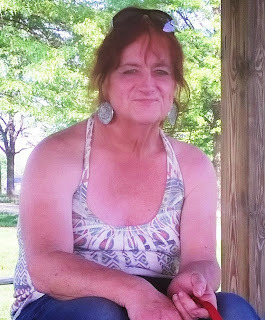 One major one revolved the fact I had the penchant for certain people seeing me both ways, as a man and as a cross dressed woman. As we all know, time makes for an excellent filter. Good or bad, we have a chance to re-live and wonder about the past. One word which keeps appearing in my past is validation and my earliest senses of being validated as a cross dressed woman came from Halloween parties. In fact, it took me years to realize when somebody complimented me it was "You look good as a woman...for a man." Somehow I finally realized the difference between reality, pictures and the mirror. Passages for all of us transgender women are easy to over simplify, which I think leads to the infamous "I'm more trans than you debacle." One way or another, the journey never seems to totally end, it just gets easier with time...most of the time.